Here’s something we don’t see that often — authors retracting one of their articles because it included new data. But that is the case with a 2017 review exploring the potential genetic and hormonal underpinnings of gender identity. 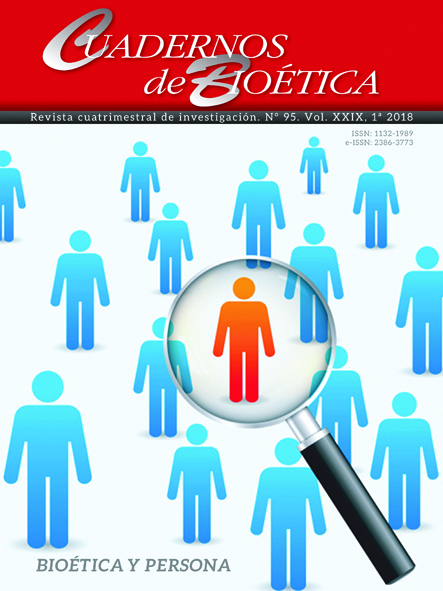 The authors Rosa Fernández García and Eduardo Pásaro Mendez told Retraction Watch that they asked bioethics journal Cuadernos de Bioética to withdraw their review after realizing it “indirectly” mentioned some of their unpublished work. According to García, the authors had hoped to publish the new data in a scientific paper before the review came out, but the review ended up being published first. Following the publication of this article, the authors find that they are not able to communicate the results presented in this paper. For an involuntary error, a file has been sent to the journal that incorporates part of the most recent results obtained in our investigations in which other coauthors have participated. These data should not have been included since they are the result of extensive experimental work not yet published. Therefore, the article as an ACRE report (Scientific Advances of Ethical Relevance) is not suitable for “Cuadernos de Bioética”, since these reports are intended to facilitate access to scientific literature already published. Consequently, the authors have decided to retract this paper from publication. All of the authors agree to this retraction. The authors sincerely regret this decision, and apologize to the Editor and to the readership of the Journal for any inconvenience caused. Rosa Fernández García explained that the data were supposed to appear first in a scientific paper, which they expected to publish before the review. But when the review came out first, the authors asked to withdraw it until they could publish the results separately. we have already submitted the scientific paper, and its publication is now close. The article has been withdrawn for formal reasons because it contains data that are not specific to a review article. We would very much like to in order to clear up any misunderstandings. Previous Previous post: Weekend reads: Unauthorized vaccine trial leads to criminal investigation; outrage over a skeleton study; how much plagiarism is OK?